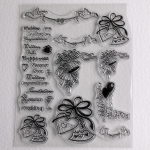 A choice of 3 sets of quality clear rubber stamps. 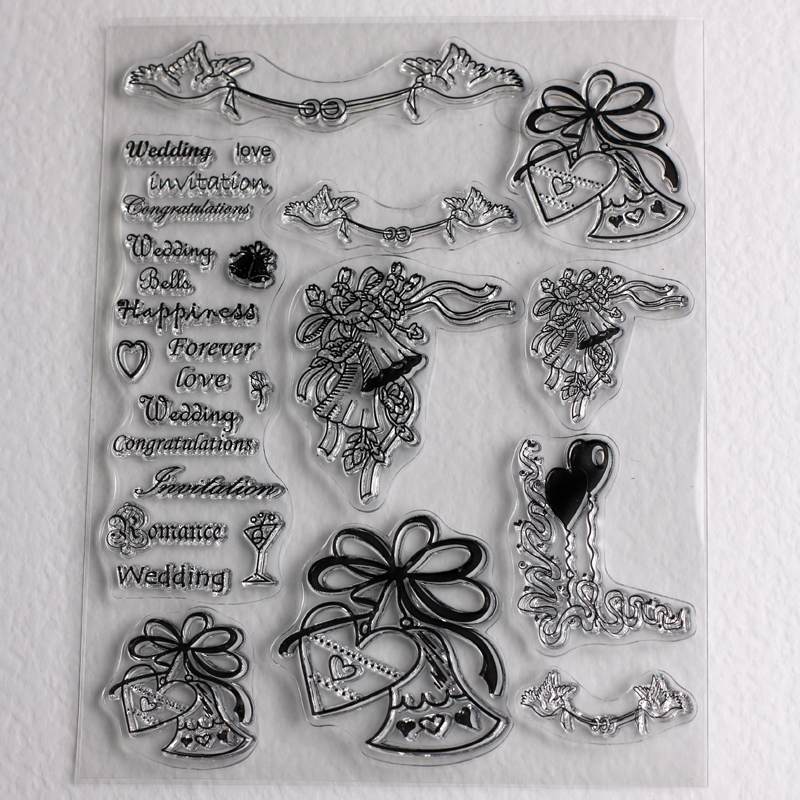 A choice of 3 sets of premium clear wedding themed rubber stamps. 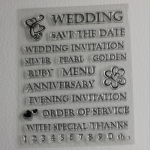 Set 1: Consisting of a number of useful wedding and anniversary related sentiments all in upper case. Also includes set of numerals 0-9. 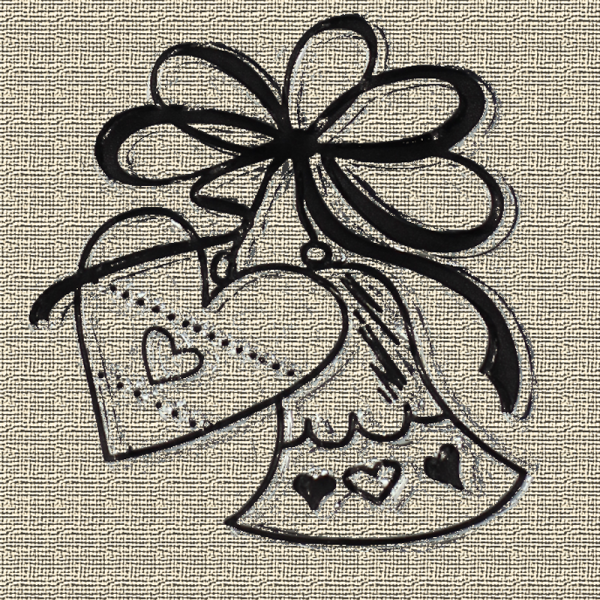 Additional swirly heart motif stamps also included. 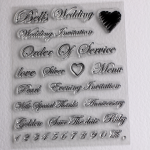 Very useful set of stamps at a superb price! 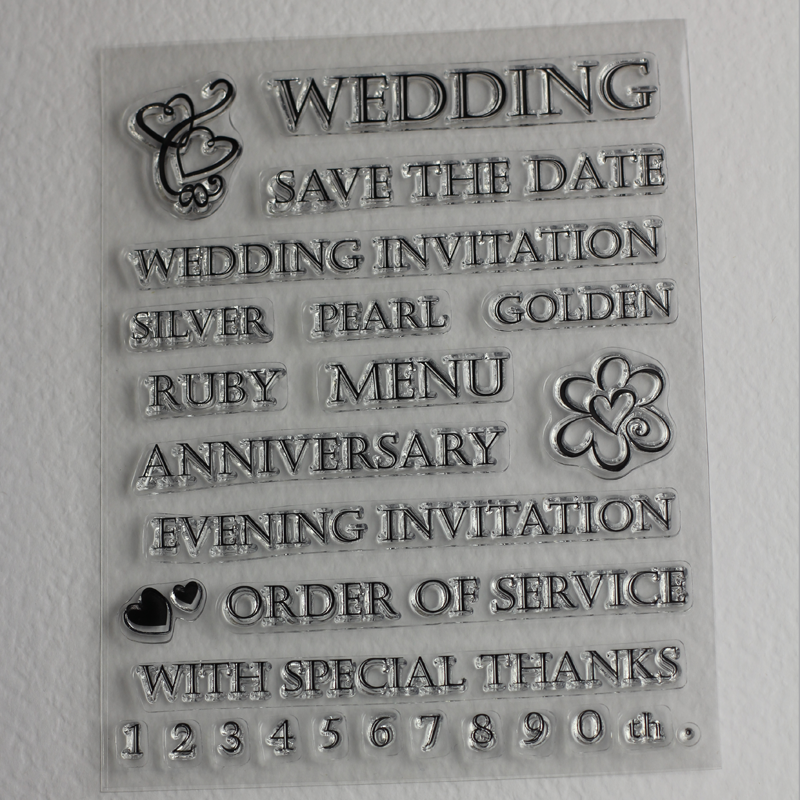 Set 2: Consisting of a number of useful wedding and anniversary sentiments all in italics. Also includes additional heart motif stamps and set of numerals 0-9. 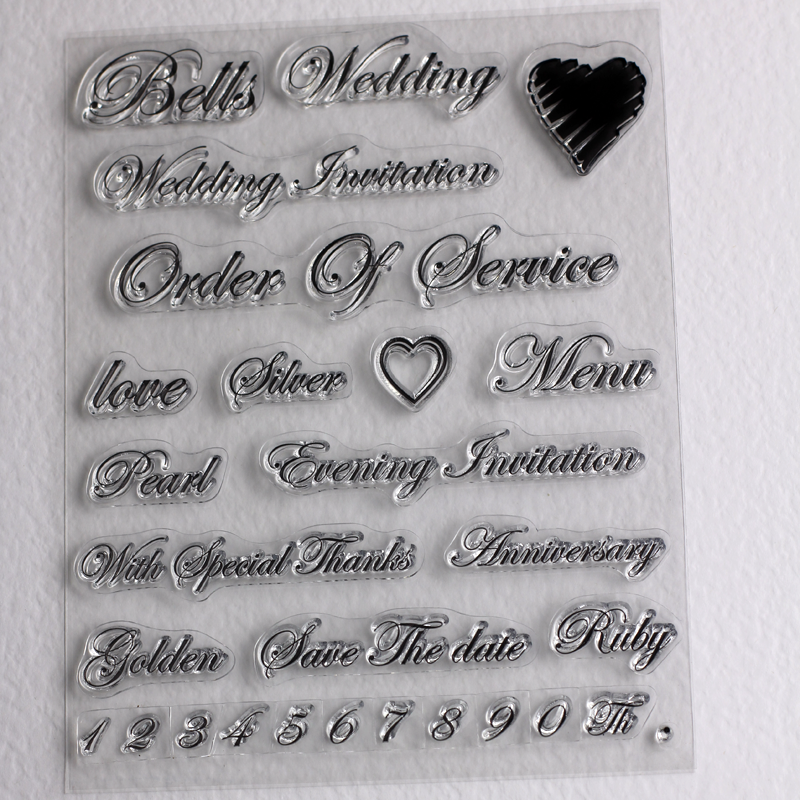 Very useful set of stamps at a superb price!